Dr. Megan Brown is an Alexandria, VA based physical therapist with a passion for creating connections among people and inspiring healthy connections within. HAWT Pilates developed out of a clear passion and need for quality movement, whole body effective conditioning and sweaty snarky fun. Exercise is hard, we might as well make it joyeous! HAWT Pilates Teacher Training available. Dr. Brown is a speaker on anatomy for yoga and Pilates teacher trainings and integrating functional Pilates in a Physical Therapy setting. Currently, Megan is adjunct faculty at Marymount University Program in Physical Therapy in Arlington, Va. Mind the Mat Pilates & Yoga studio blossomed from the need for quality exercise programs designed for special populations and individual needs. Ten years later, MTM continues to lighten lives in four studios within two locations in the D.C. area. Sign up for her classes. 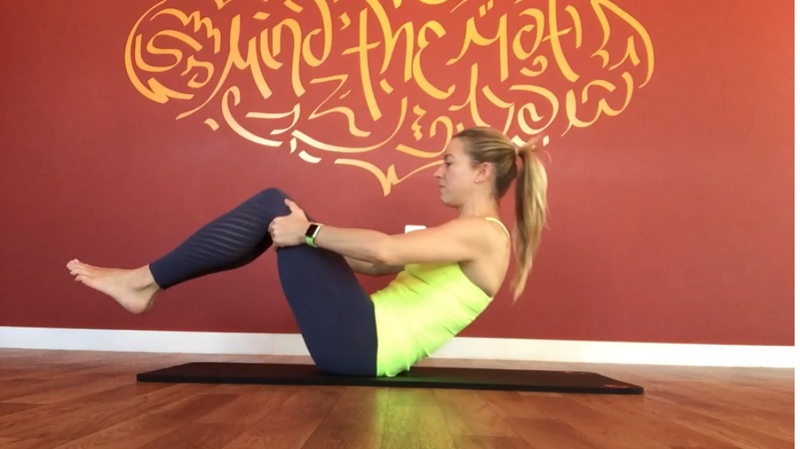 Pilates and functional exercise programs designed to address and heal injury, improve biomechanics and advance efficiency in your sport: Pilates for Runners, Pilates for Low Back Pain, and All Levels Therapeutic. Programs not modified around your pregnancy and recovery but created FOR it. Includes tailored moves to target the orthopedic changes associated with pregnancy and therapeutic, functional, and fitness-oriented in design. HAWT Pilates & Pilates Boot Camp classes that incorporate whole-body, cleverly-crafted group workouts that will leave you energized and excited about exercising more. Exercise is hard, we may as well make it fun!